Encourage fun and imaginative play with this Metal Clothes Line. 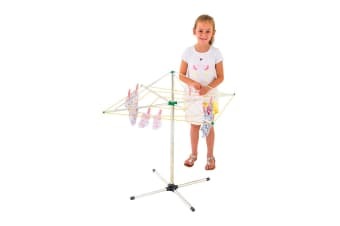 Featuring a realistic rotating arms and sturdy nylon cords, your kids can pretend to be just like mum and dad! Coated with a protective layer for corrosion protection, this sturdy metal clotheslines is extremely durable and will last for years to come.